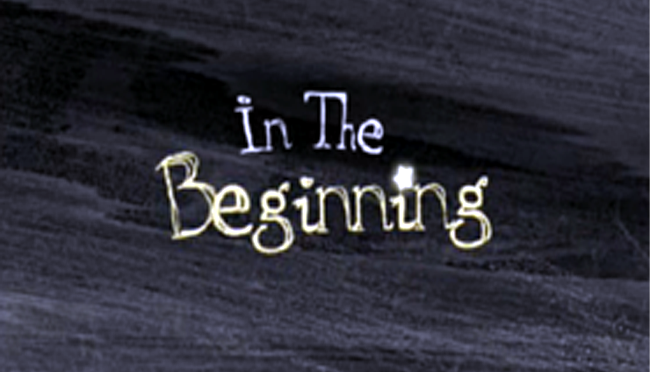 Chapter 1: In Beginning | Who Am I? “Is that all there is?”, That is the question asked by Peggy Lee in a song some years back. It expresses the apathetic, nonchalant, unconcerned, attitude of many people who have stopped looking for answers. They have lost the enthusiasm of childhood. Their world is narrow; it has no depth or meaning. They look in wrong places for answers, and because of frustration they give up and lose their joy. There are meaningful answers to these queries of life. There is an answer to what, why, when, how, and how much we understand about the world and us. Life is not a meaningless time of existence that happens by chance. There are purposes in being. Everyone has the right to have their life make sense and have meaning. My desire is not to answer all your personal questions about life, but I want the reader to seek the truth himself. Through several illustrations and revelations shared in this context, I want to bring clarity to your search for the truth. It is my hope through this search in questions of life that you may develop your appetite for truth and knowledge, and become what you are meant to be. To begin with the question “Who am I?”, We must consider man’s beginning. Did we start in some swamp or ocean as a one cell animal or was the first human-made by God? We must settle in our mind and heart an accurate description of man coming into being. Men of science must admit there is no solid proof that man is an evolutionary creature. There is no definite “missing link” across the species of animals to humanity’s development today. In fact, there is more proof that any evolution of a species stays within that animal group and cannot jump to another branch of the animal kingdom. So why is it that the evolutionary theories of man are believed by so many in the world today without any concrete evidence? Why is it accepted as truth? There is a belief that man is self-sufficient. The answers to man’s problems originate in man. So man must look within himself for the answers to life questions. This humanistic view accepts the theories of learned men because they have pH. D. or B. A. or M.D. behind their name. These men are qualified and therefore able to tell us the origins of humankind. These men and women of science refuse to consider the possibility of the existence of a living, loving creator God because they can’t see him. They can only see the dead fossils of animals, and the earth and the stars, and things of matter and energy, and all creatures great and small, and they assumed it all just happened by chance. They blind themselves to the architectural beauty of the universe, and they don’t see the hand of the author God. They only see with their eyes and limited intellect. There is no grand purpose in man. He is merely a part of the greater whole. To these men and women of philosophy and science, I would say, there is an invisible force that touches everyone’s life. This power points to a better experience with the hope and help of a loving creator God. Humanism is leading humanity away from the revelation that can help us be better people, and it alienates us from the God that made us. When man destroys God, he demeans himself. Atheism is suicidal. The belief in God is accentual in knowing who the man is. There is more to existence than the physical world that you see with your eyes. There are much-unexplained phenomena that science does not fully understand. What is the atomic glue that holds the proton and electron together in the atom? Why does the orbit of an electron around the nucleus resemble the planets around the sun? Why is there such order in the universe? Why is the earth of all the planets in the solar system the one most perfect to support life as we know it? What is the force that brings animation and vitality to the living things in this world and why can’t men duplicate it in the laboratory. Why is man of all the animals blessed with superior intelligence and reasoning powers? Why do the swallows come back to San Juan Capistrano every year at the same time? There is much science can do for humanity, and I mean no disrespect to men and women of all the sciences. But, why can’t there be a spirit world where God and angels exist, and why can’t there be a devil that seeks to steal, kill, and destroy all that is good in the eyes of God? The answer is there can be and is a world that exists beyond the physical where dreams and prayers may enter. This world is where hope begins, and strength is found to continue living. Faith and true love come from the area called the heart of God. And these truths can only be understood by a man and woman when their soul and spirit reach out to the God of this universe in belief and humility. People in the sciences must give God a chance to reveal himself to them. Understand this, losing ones life is not as bad as never having lived. In searching for answers, you must have a basis of truth, to begin. In the same way, a person goes to a dictionary for the spelling of a word, or a history book to find an event in the past I use bible scripture as a guideline. It is a light to my path. I make no apology for this, but I ask if this does not sit well with you that you bear with me. I believe it will become apparent to you why use scripture if you read with your mind open. If God exists undoubtedly, he has communicated to us through his Word. It would be a shame to go through life without knowing what God has said to us. What you don’t know can hurt you in eternity. Who was the man in the beginning? From where did he come? What was man’s original state of being? The first mention of man in the bible is in the book of beginnings, Genesis,” And God said, let us make man in Our image, after Our likeness; and let him have dominion over the fish of the sea, and over the fowl of the air, and over the cattle, and over all the earth. So God created man in his own image, in the image of God created he him; male and female created he them,” Genesis 1:26-27. I hope the words “ in the image” and “ likeness of God” stirred you as it does me. Adam, the father of humankind, was created in the likeness of God. I know this does not agree with the teaching that we began in some chemical slime and gradually evolved into what we are today. However, God is our heritage never the less. Psalms 8:4,5 says,” What is man that Thou dost take thought of him? And the son of man that Thou dost care for him? Yet Thou hast made him a little lower than (Elohim) God, and hast crowned him with glory and majesty.” This interpretation comes from the New American Standard Bible, which correctly uses God for the Hebrew word “ Elohim.” It is the same word used in Genesis 1:1,” In the beginning God (Elohim) created …” What does this mean? It implies God created Adam as God’s under-ruler on the earth and he gave him dominion over all God’s physical creation. Remember, we are looking at man’s original state of being as God created him on the sixth day. God’s intent for man was that he should take responsibility for this creation as God’s under-ruler. This gift God administered under his thoughtful, loving instructions. Men of science have said that the mind of the average man or woman uses only 5 to 10 percent of its mental capacity and the psychological genius only 15 to 20 percent. God created the minds of Adam and Eve at full capacity, and they were ready to take all the knowledge God would give, and operate at mental levels beyond that of the average man today. Adam showed his ability when he named all the animals in what I believe was a single day, Genesis 2:20. His mind was undoubtedly operating as God intended. God, Himself would walk with Adam and Eve in the cool of the day, Genesis, 3:8. God personally taught and communed with this likeness of Himself, because Adam and Eve were children of God. The physical bodies of Adam and Eve must have been magnificent, as perfect as they were their bodies were able to do with ease activities that would tax the best physical specimen today, because God made them to last. We must consider the fundamental abilities and areas of influence of this original man. It will help us realize our roots of humanity. The first area of influence man operated in was the physical world. He awoke from creation perhaps first noticing the bright sunlight dancing across the beautiful colors of plants and flowers in the garden. He did this with his ability to see. Then he discovered the delightful fragrant odor of the flowers and fresh air. He did this with his ability to smell. And then perhaps he reached out to feel a leaf of or slip his hand in a cool stream and then he felt the warm air from a breeze circulate his body. Adam did this with his ability to feel and touch. Then he perceived the sounds of birds playing a melody of creation, and the leaves of the trees rustling with the winds of beginnings. He did with his ability to hear. And finally, I am sure with God’s instruction, Adam pulled a ripened fruit from a tree and bit into this God made delicacy. As he let the bite of food set on his tongue and began to chew, he realized the sense of taste. Yes, these are man’s five physical senses. Without these senses, the man could not communicate with God’s physical world. Our abilities to perceive and interact with the world are facilitated through the body God made and designed for us. We inherited these abilities from Adam and Eve, father and mother of humanity. There is another more intangible part of man and woman called the soul. The personality and traits of man’s psychic are found in his soul. The real makeup and character of any person are part of the soul. Genesis 35:18 implies that the soul leaves the body at death. The soul is where man’s vitality or life is, Genesis 2:7. We experience emotions in the soul, First Samuel 18:1-3. The soul is where Adam processed information his body gave him through his five senses and formulated with his intellect what action to take. Then he used his will to decide what to do in any given situation. Adam’s emotions, desires, feelings, conditioned habits, memories, thought patterns, and mental reasoning powers are aspects of his soul. Humanity develops character traits in the soul. The soul is the receiving center for information given through the body and the spirit. It is a living computer and reasoning center and emotional conduit for the mind and personality of all humankind. The proper development of the mind and soul is the key to success in the experience we call life. The soul is where man and woman reach out to the world trying to perceive all things both conscience and sub-conscience in the totality of mental reasoning. Adam and Eve both were magnificent creatures, but as important as the soul was in their development it could not exist in the physical world without the house called the body. Also, the soul could not learn from and communicate with the Eternal God without the human spirit. The spirit is essential because it communicates life directly from God, who is Life itself to the total man. The spirit part of Adam gave him the ability to commune with God, the being who chose to make man in His image. “The natural non-spiritual man does not accept or welcome or admit into his heart the gifts and teachings of the Spirit of God, for they are folly (meaningless nonsense) to him; and he is incapable of knowing them – of progressively recognizing, understanding and becoming better acquainted with them – because they are spiritually discerned and estimated and appreciated. Yet to us God has unveiled and revealed them through his Spirit, for the (Holy) Spirit searches the profound and bottomless things of God – the divine counsels and things hidden beyond man’s scrutiny,” I Corinthians 2:14, 10, Amplified Bible. Adam communicated directly with God because he was a spirit being with a soul and mind located in a physical body. All these integral components of Adam and Eve worked together to form the total person functioning in unison for their life on earth. Genesis 2:7 says,” God formed man of the dust of the ground and breathed into his nostrils the breath of life, and man became a living soul.” Man’s first breath was the breath of God. God tied himself to this special creation, man, in a unique way. God breathed His Spirit into man and life was injected into man’s body, and he became a living soul. God formed man out of the dust of the ground, which made him physical. God created in man a soul with man’s own will and emerging personality and intellect. Then God animated this form with his breath and gave to man his human spirit, so God and man could be together, and man could learn from the living God. The man was now whole. He was complete, a new creation spirit, soul, and body. These essential components of man are found in I Thessalonians 5:23, I Corinthians 15:44-45, and Hebrews 4:12. The key to man’s success in human life was what he did with his relationship with God, and how well he obeyed God’s words and teachings. God created man with a place in his being only God could fill. God intended in his relationship with man and woman to reveal Himself to humankind. For God has, “given us all things that pertain unto life and Godliness through the knowledge of Him…” 2 Peter 1:3. To know God is to understand life itself. So the creature man was created by God a perfect being with outstanding abilities. The man was given authority in the earth as ruler over God’s creation in this realm. God worked with man and woman to accomplish the heaven-guided purpose of this creation. So what happened to man God’s prize creation? Has he fallen below God’s plan for him in the beginning? Before we consider what happens next to man and woman, know this, Adam and Eve were not created as helpless pawns placed on earth in some game that God was playing. They had the ability and knowledge to overcome all things in this realm God created for them. God gave life, joy, peace, and a sense of fulfillment, friendship, and love. God created Adam and Eve as beings to succeed in life. They were to worship God as creator and giver of life, and it was essential they pay close attention to God’s instructions in life. So we can’t blame God for defeat. Life is meant to have challenges, but God created in us the ability to overcome if we listen to and trust in Him.